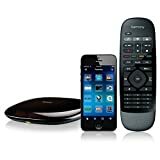 Everyone knows that Logitech Harmony is the only name that matters when it comes to universal control of all your home entertainment gadgets and gizmos. What many people don’t realize, however, is that you don’t have to spend $200+ to get one. Logitech makes a wide range of remotes, but in this day and age it’s all about the Harmony Hub that lets you connect your smartphone and control all your gear with an app. It retails for $100, but Amazon has a killer sale going right now on a bundle that includes a Hub and a basic universal remote. It’s just $67.77 today on Amazon, which is a killer price. In fact, it’s less than $8 over this bundle’s best price ever. If you want to save even more money, you can also get a certified refurb for $59.99.